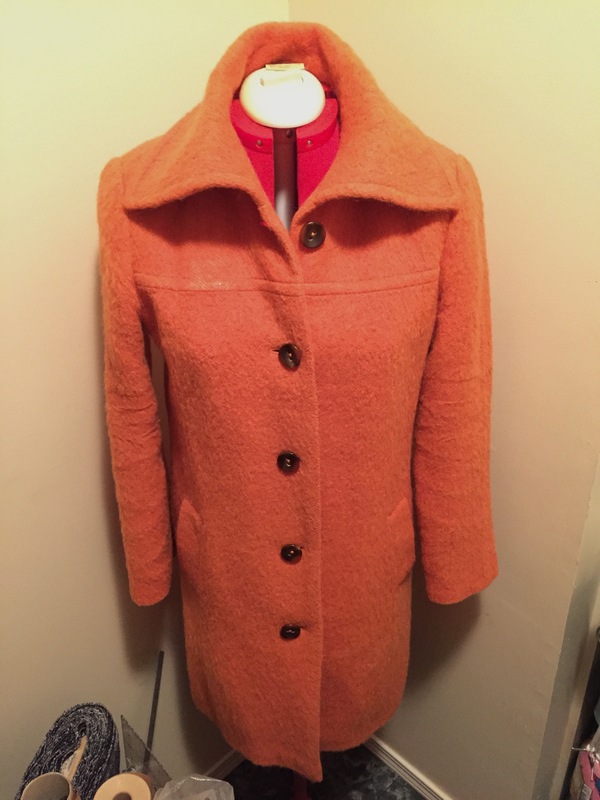 A worn out coat, renewed! My sister, Halie, and I are similar in many ways. We are both creative, share the same birthday, and adore a great thrift store find. 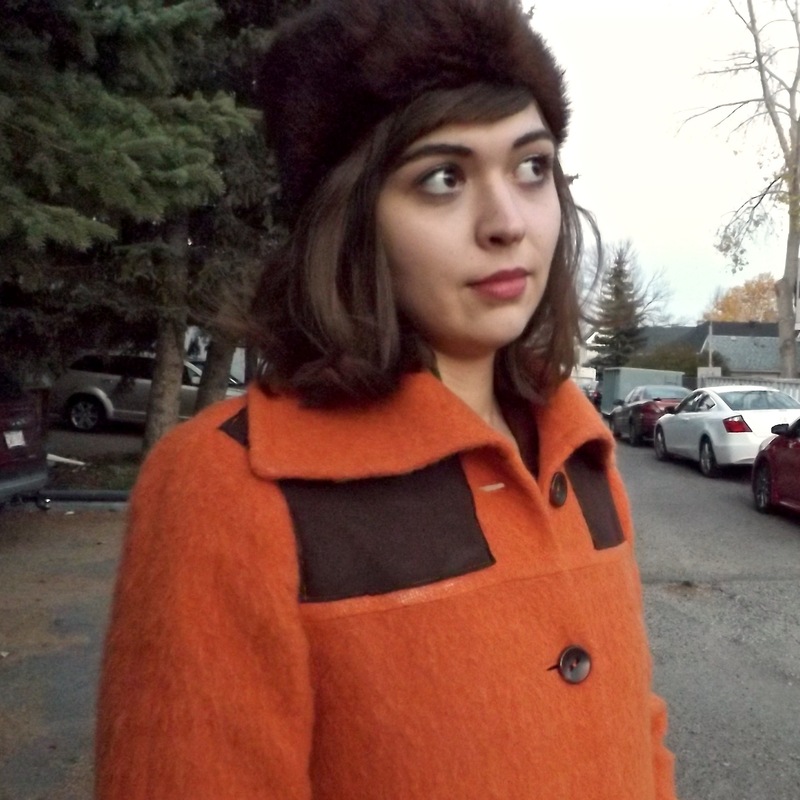 When we spotted this coat on a recent Goodwill trip Halie fell in love instantly. I wasn’t equally as smitten. While I did like the shape, color, and fuzziness of the fabric, it had major problems. 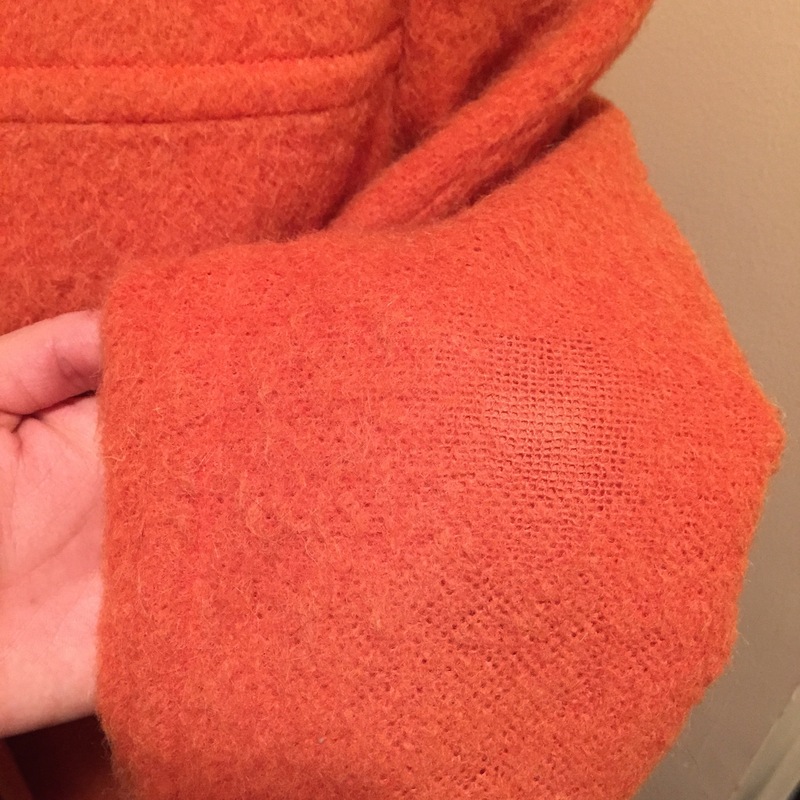 It was badly worn on one shoulder, my guess is from a purse strap, and on the elbows. The lining under the armpits was also torn on both sides. 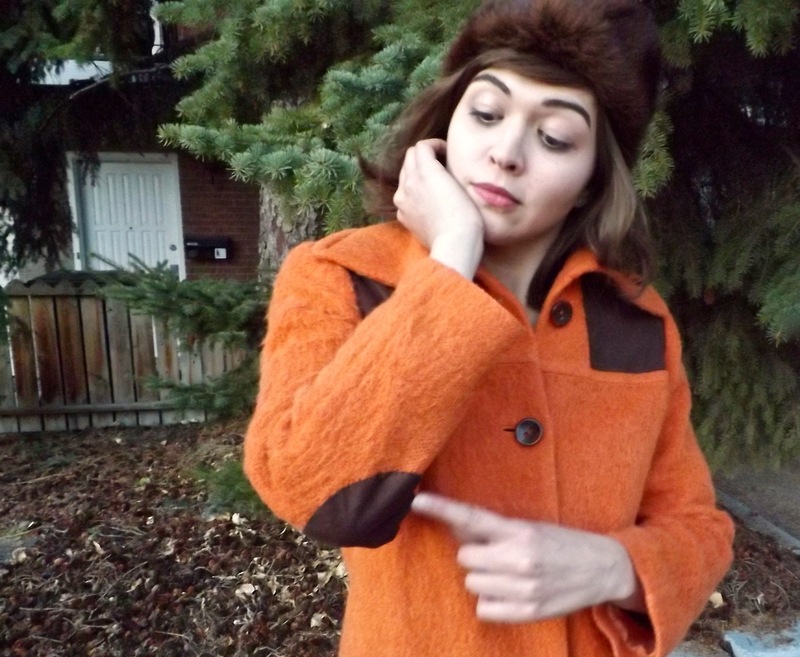 Halle couldn’t let the coat go, it really was a steal, and since I knew I could mend it easily I agreed to help. After sewing up the tears on the seams of the lining the armpits I got to work on patching the outside of the coat. You can see how the fabric was worn down on spots all the way through. My solution was to use faux suede that I already had. You could use just about any fabric as a patch, although more flimsy fabrics might not hold up as long. The key to making this task easier is to choose a fabric that doesn’t fray. That way you don’t have to iron the edges under. Especially for the circular elbow patches. Another alternative would be to use an overlock stitch on the edge of the patches to eliminate fraying, as long as you don’t mind seeing the thread. To get the patterns for the patches I laid tracing paper on the coat to copy the shapes I needed. 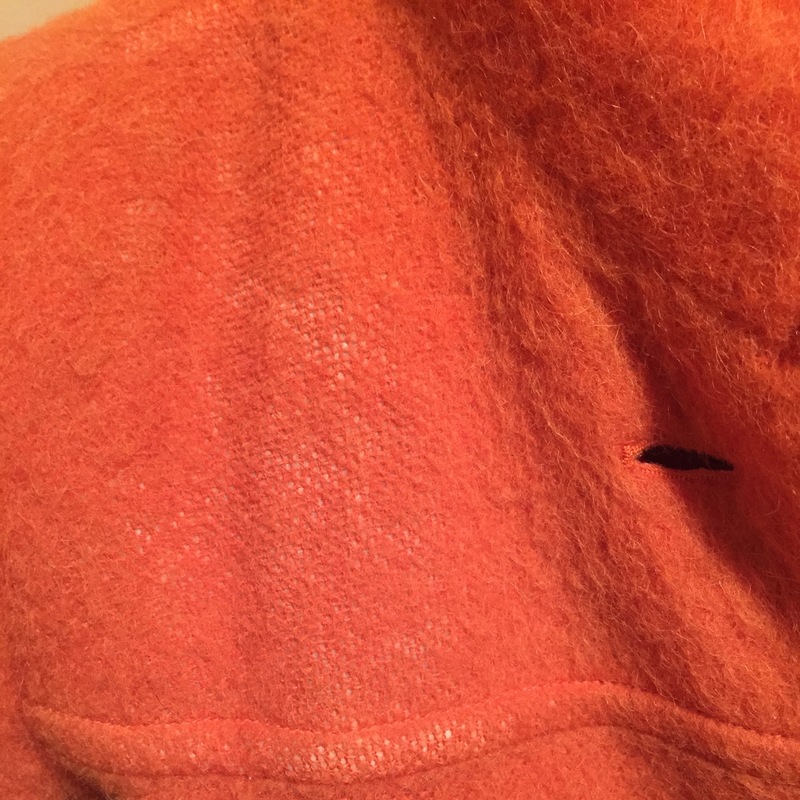 Since I didn’t have to worry about fraying, seam allowance wasn’t an issue. I was able to use the sewing machine to attach the shoulder patches. For the elbow patches I used an embroidery hoop to keep the fabric taught and hand sewed them on. All in all it took me about to 2 hours to complete. I think it gives the coat some character and more of a vintage feel even though it isn’t. Most importantly my sister is pleased. She has a unique coat and it only cost her $10. 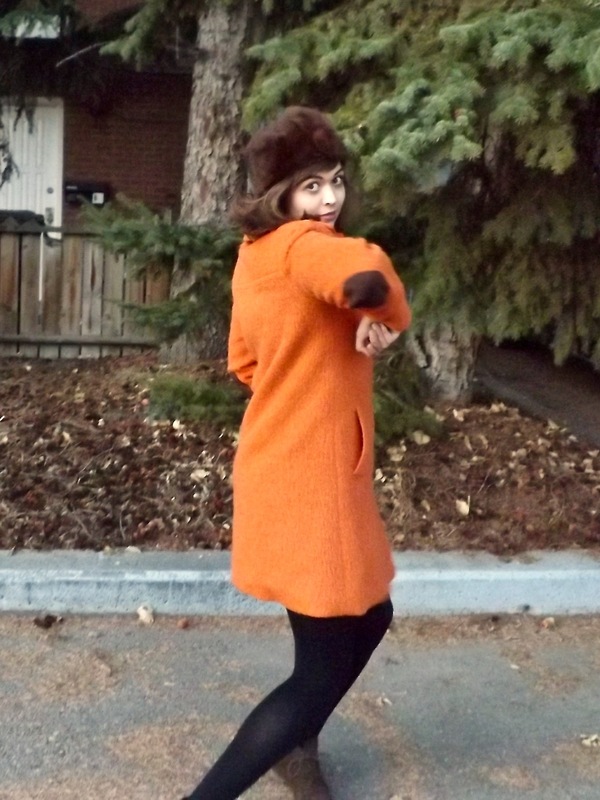 After looking at the photos my sister was reminded of the A&W Rootbear. Now seeing that coat gives me a craving for a mama burger. So cute. 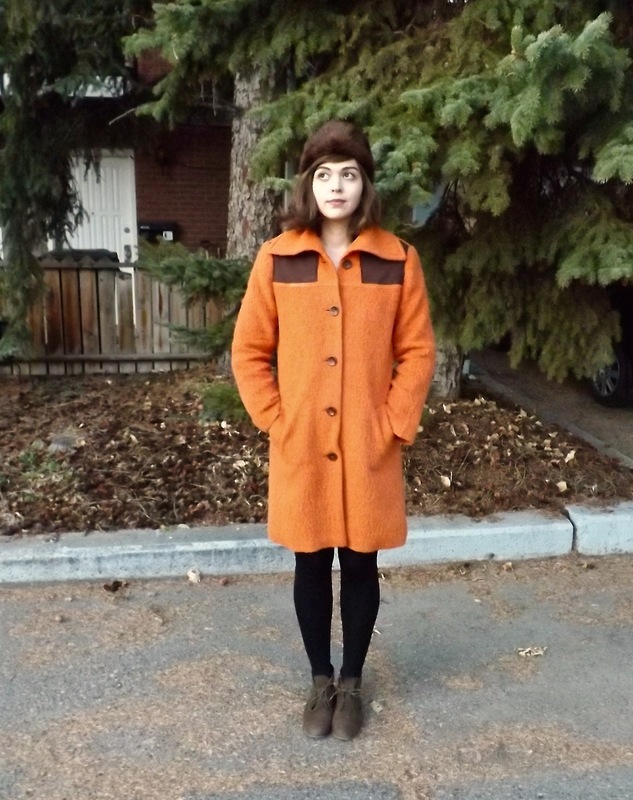 It reminds me of Velma from Scooby Doo. Lol. That’s a great compliment. Velma’s the best character on Scooby-Doo!